PNNL is testing an adsorbent that could more effectively extract trace amounts of uranium from seawater and help fuel future nuclear power development. RICHLAND, Wash. — When you take a dip in the ocean, nuclear fuel is probably the farthest thing from your mind. Uranium floats in Earth's oceans in trace amounts of just 3 parts per billion, but it adds up. Combined, our oceans hold up to 4.5 billion tons of uranium - enough to potentially fuel the world's nuclear power plants for 6,500 years. Countries such as Japan have examined the ocean as a uranium source since the 1960s, but previous approaches have been too expensive to extract the quantities needed for nuclear fuel. Now researchers at the Department of Energy's Pacific Northwest National Laboratory and Oak Ridge National Laboratory are tweaking one of those concepts with the goal of making it more efficient and cost-competitive. 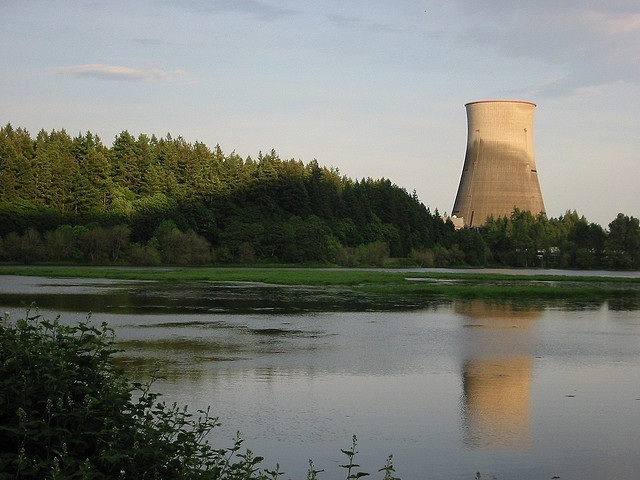 The research is being done for the Department of Energy's Office of Nuclear Energy. Japan developed an adsorbent that attaches the uranium-loving chemical group amidoxime to a plastic polymer. ORNL examined the binding process between the plastic and chemical groups and used that knowledge to enhance the uranium-grabbing characteristic of the amidoxime groups on the adsorbent material's surface. PNNL tested the adsorbent's performance at its Marine Sciences Laboratory in Sequim, Wash., DOE's only marine research facility. Using filtered seawater from nearby Sequim Bay, PNNL established a laboratory testing process to measure the effectiveness of both Japan's and ORNL's adsorbent materials. Initial tests showed ORNL's adsorbent can soak up more than two times the uranium than the material from Japan. Results were presented today at the fall meeting of the American Chemical Society, which runs Aug. 19-23 in Philadelphia. ORNL chemical engineer Costas Tsouris presented the research team's findings this afternoon, while PNNL chemical oceanographer Gary Gill presented a poster on the PNNL testing program this evening. Tsouris' presentation is part of a larger, day-long oral session on uranium extraction from seawater. Check out the ACS website (link below) for talk and poster abstracts. PNNL poster: "Testing adsorbents to extract uranium from ambient seawater," Gary A. Gill, 6-7:30 p.m. Tuesday, Aug. 21, Hall D, Pennsylvania Convention Center. Complete oral session: "Extraction of Uranium from Seawater," organized by Ben Hay, Robin Rogers and Sheng Dai, all day Tuesday, Aug. 21, various locations at the Pennyslvania Convention Center.